Melbourne is brimming with family-friendly attractions and things to do, see, visit, eat, play, create and explore and our one stop website is the largest of its kind in Melbourne covering everything family-friendly from events, activities, kid-friendly cafes and eats, places to go, parks and playgrounds, day trips, classes, school holiday ideas, daily and weekend inspiration. Our crew hopes to inspire your family to get out and about and exploring the gems of our City and beyond, be it NORTH, SOUTH, EAST or WEST or a road trip out of the City. 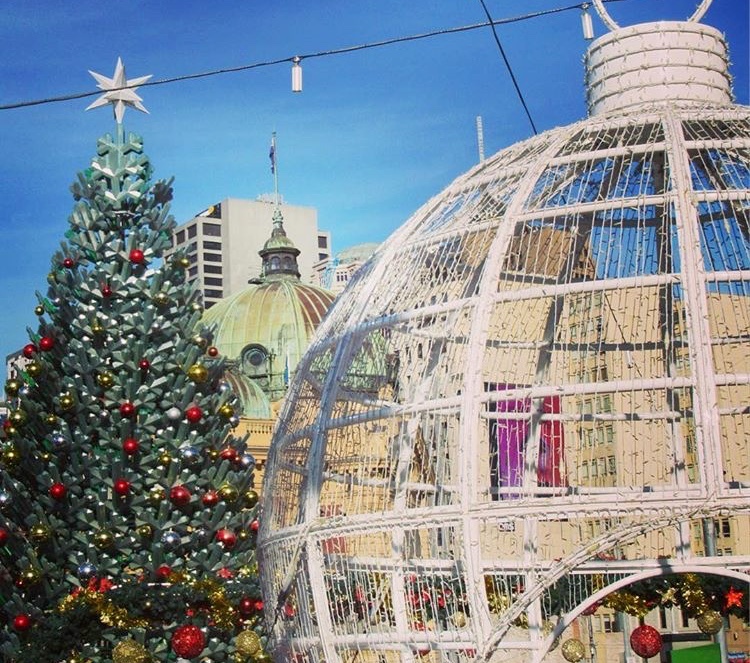 The holiday season is known to most of Victoria (Australia) as a time of celebration and reuniting with family and friends. But for those most in need it can be the most difficult time of year. We believe in instilling a sense of community service in our children from early on in their lives. 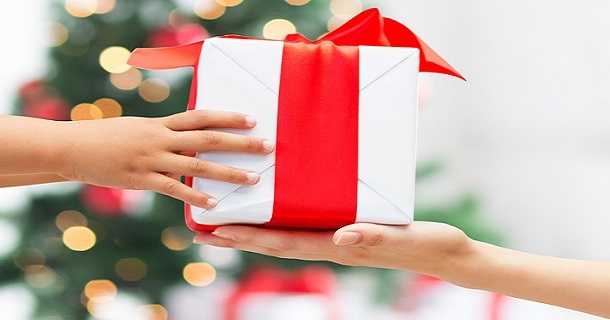 What better way to instil a spirit of giving in your family during a special time of year than helping out those who need it most. With these organisations you can give a little joy and create a sense of Christmas spirit (we've also included the Australian Defense Force because they need our support and they're away from their families at Christmas). 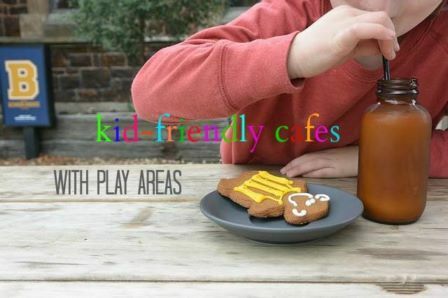 Need a safe haven for your little ones and one that involves food and coffee? Of course you do! We've scoured Melbourne and found some kid-friendly gems. So you want to combine play, conversation, coffee and good food all in one go? 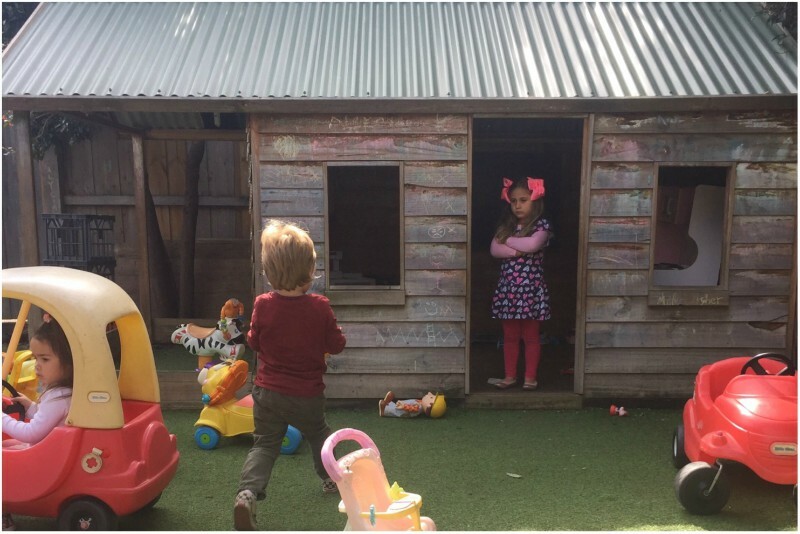 With a cubbyhouse and courtyard full of toys, it's no wonder this place is the talk of the town. Be sure to head out straight out the back with your Mother's group or friends as that's where toddler action is going on! From the unassuming frontage, Nature Boy opens out from a narrow cafe into a spacious area for diners. Ask us how we entertain and please all three kids at once - this place screams at us all the time! 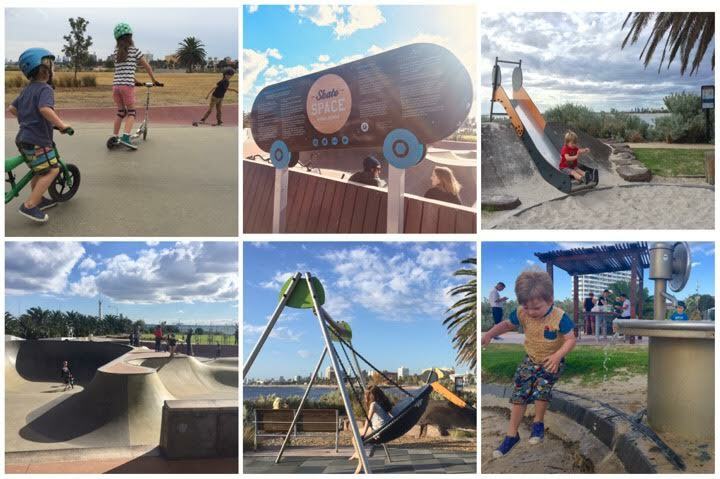 A skate park, a playground with views and the beach and a cafe with take away coffee - winning! Soak up some rays, take in the sunset (or sunrise! ), have a splash and a play at Marina Reserve - a highly valued reserve on the St Kilda foreshore. If you've got a dog, the bonus is, dogs are permitted off leash (but dogs are not permitted within 5m of the playground, BBQ and skate space). There's a large grassed area in between the skate park and playground that's just perfect to throw the ball to your four-legged friend or play some frisbee or even fly a kite. Let's take a moment to appreciate a park that suits everyone and we mean everyone! 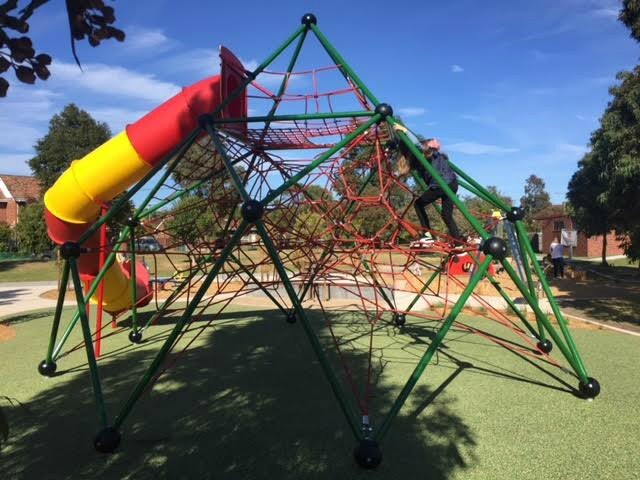 Where can you find a beautiful nature inspired playground upgrade, a full size basketball/netball court and an off-leash dog park all in the one spot? Julier Reserve in Port Melbourne are what park dreams are made of!